Wisconsin! Farms, red barns, forests, rivers… and CHEESE! 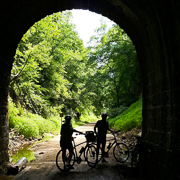 On our Wisconsin Bike Trails trip we’ll ride a series of bike trails that begin near Madison, travel south to New Glarus and Monroe, then into the beautiful Driftless Region around Viroqua. Next we explore the Root River (Minnesota) and La Crosse. 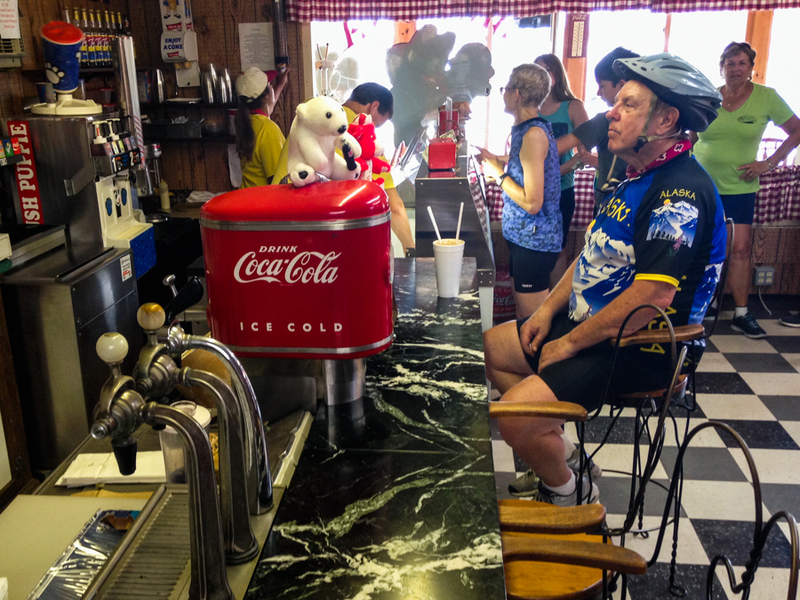 Finally, we ride the Elroy–Sparta State Trail, the oldest rail trail in our nation, and finish up with a visit to Devils Lake State Park – a gorgeous place with stunning scenery. This is a trip with many facets; farmlands, forests, rivers, small towns and a few cities. We’ll stay in Viroqua’s Heritage Inn B&B. You’ll sample cheese curds in Westby and visit with friendly folks all along the way. The Root River Trail is paved but the rest of the trails we ride are generally crushed limestone. 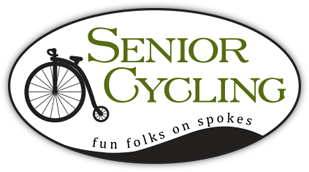 Meet riders in Madison for our introductory meeting and dinner. 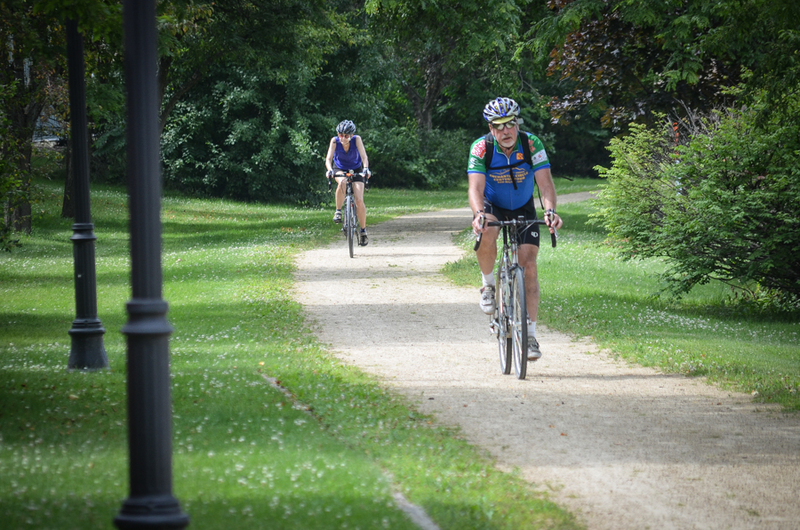 38 miles – Biking again from our hotel, we will use Madison's urban trail system to reach the Badger State Trail. 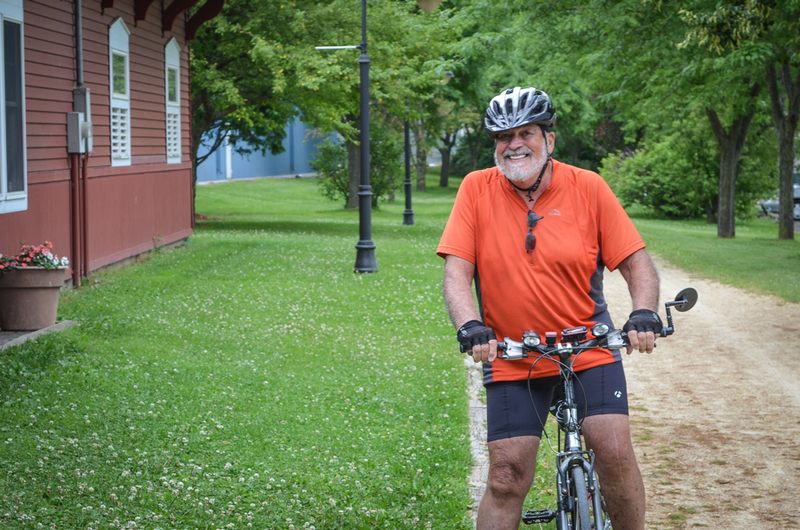 We'll ride south past the small towns of Belleville and Monticello, finishing the ride in Monroe. After loading the van we will take a tour of the New Glarus Brewery, have a snack and share a pitcher of their award-winning beer. Cheers! Afterwards we will van back to our Madison hotel to spend the night. 15/ 20 miles – We’ll take the van west to the start of the Pine River Trail as it winds through the Wisconsin River valley area. 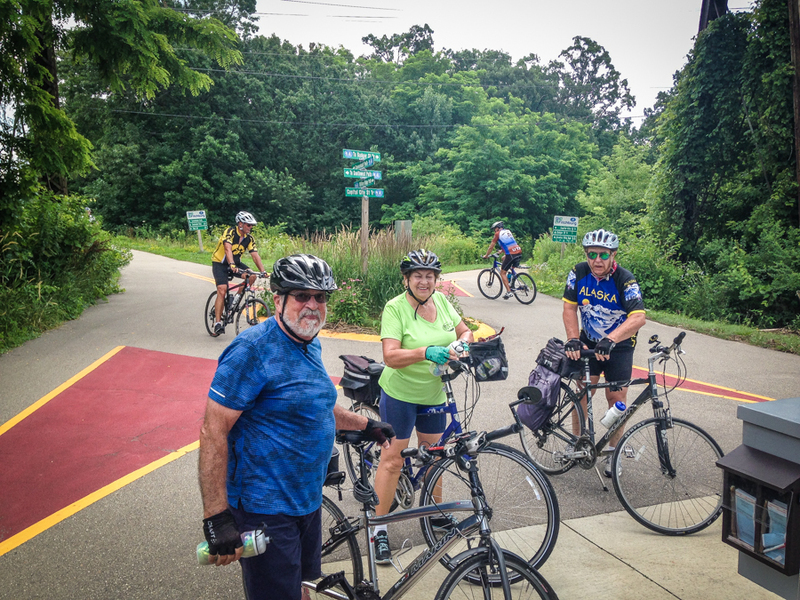 We’ll bike north on the trail, stopping in Richland Center for a picnic lunch. We’ll spend the night in Viroqua at the Heritage Inn B&B, right downtown where you’ll have several very good dining options from which to choose. 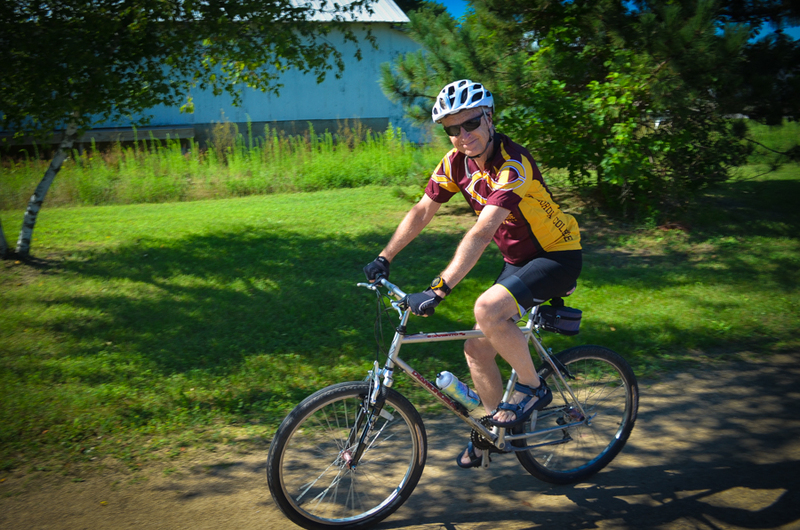 33 miles – We’ll take a scenic van ride to Lanesboro, Minnesota and ride the Root River State Trail to Houston, MN. This trail is one of the nation’s best. It’s simply a gorgeous ride. You’ll pass through several small towns along the way – think pie! To end the day we’ll van to downtown La Crosse where we’ll stay downtown, right on the mighty Mississippi and within walking distance to the vibrant La Crosse downtown scene with plenty of dinner & entertainment options. 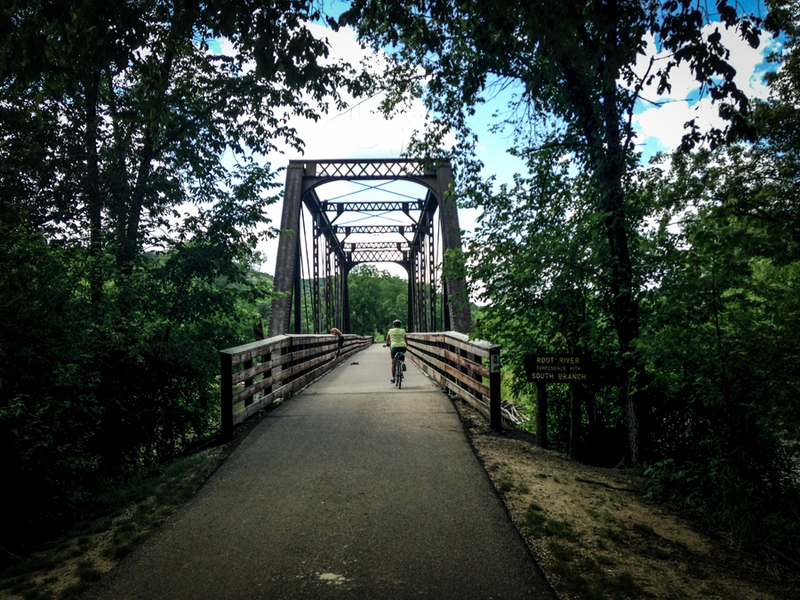 32 miles – We have a morning van ride to Sparta, where we hop on the Elroy-Sparta State Trail. We’ll provide a picnic lunch in Norwalk after you’ve been through one of the trail’s three tunnels. This is a fun trail! After ice cream in Elroy we’ll van you into Mauston to spend the night. 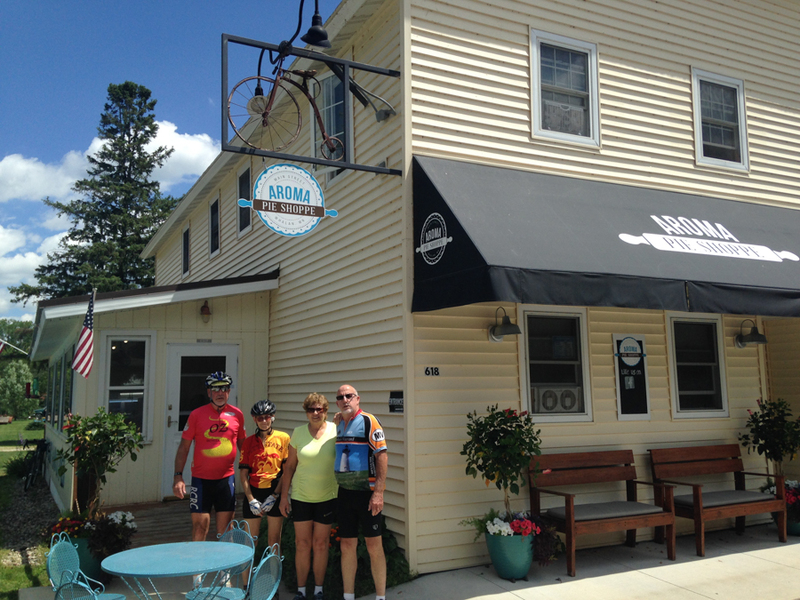 22 miles – We van back to Elroy to ride the 400 State Trail, another trail that passes through a mix of woods, farms and streams. This one finishes in Reedsburg where we’ll enjoy lunch. The afternoon includes a trip to Devils Lake State Park. 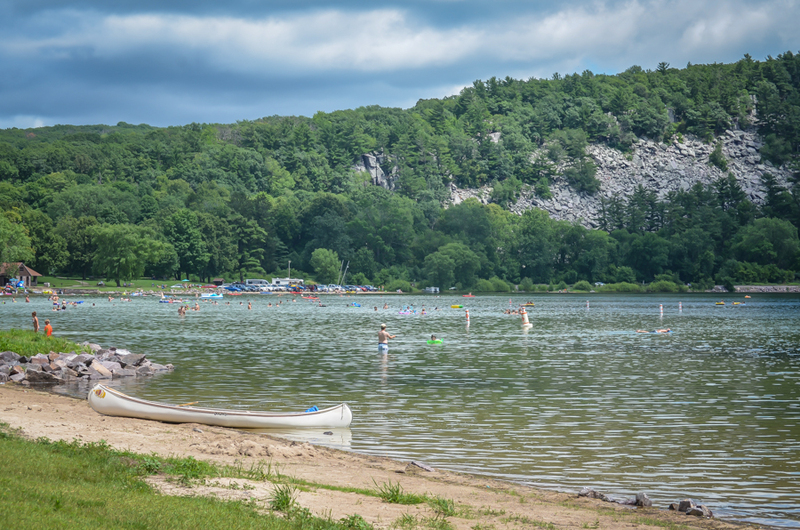 The park boasts a gorgeous lake with towering stone cliffs on two sides, hiking trails, swimming and canoe rentals. There’s also a concession stand with ice cream and snacks. After the park visit we will van to Madison to spend the night. 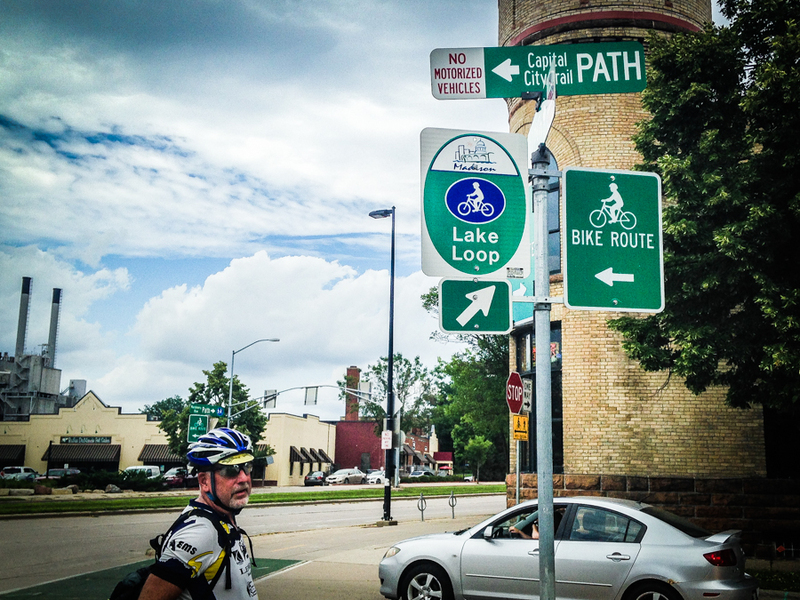 17 miles – We ride some of Madison's amazing trail network. If you want to get to know this town, riding a bike is the best way. We will ride several trails into downtown and have options galore for dining and shopping around Capital Square and State Street. There are also plenty of places to stop for lunch in the Williamson Street area. Our route will bring us right back to our beginning hotel. Wisconsin's State trails are mostly crushed rock and are quite smooth. The trails are suitable for all bicycles. The Root River State Trail and Madison's urban trails are all paved. For this tour we meet people on Friday, June 21st, 2019 at 5:00 pm at Holiday Inn Express Madison Central. The trip ends on Thursday, June 27th. We plan to be back at the Holiday Inn Express hotel around 3:00 pm. These times can be impacted by traffic issues and so are not guaranteed. If you are flying, you fly in and out of the Dane County Regional Airport, 4000 International Ln., Madison WI 53704. There is shuttle transportation to the Holiday Inn Express hotel. Call the hotel at (608) 709-5050 when you arrive to arrange for pickup. If you are driving, meet us at the hotel. You can leave your car parked there during our tour. There may be a fee for parking. Please see hotel staff for details. Your night’s lodging on Friday, June 21 is included. Your night’s lodging on the day the trip ends (Thursday, June 27) is not included. That night is at your expense and reservations for that night are your responsibility.